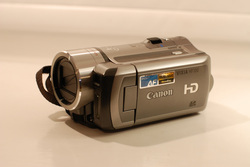 2010 is the first year for video and video editing. Wiziards in Winter is my first attempt at video editing. The others are simply single point of view videos. Enjoy them all. We LOVED doing it!! Wizards In Winter from Bob Moody on Vimeo. THX Disaster from Bob Moody on Vimeo. So This is Christmas from Bob Moody on Vimeo. Christmas Display - In The Mood (For Christmas) from Bob Moody on Vimeo. Christmas Display Teardown 2010 from Bob Moody on Vimeo.